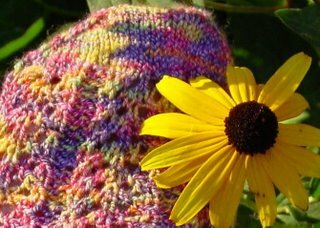 I am starting to understand why sock knitters find a great pattern and keep doing it. I seem to be developing a similar affliction with with hats. 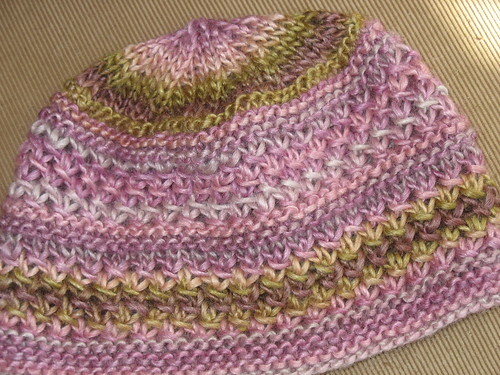 As breaks in between a fiddly lace shawl, or a sweater, there is fun in hats. And, with thick enough yarn I can finish one in and evening or two. Or a weekend retreat. Or waiting in an airport. 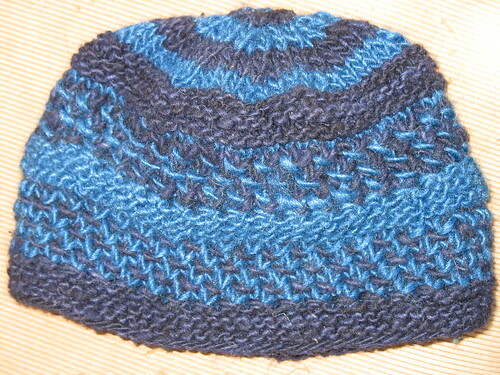 So, I present to you, the Amanda Hat in Blue. This one was knit on eights with two Fibre Company yarns (yet another addiction) - Terra (Dark Woad - what is a woad anyway? *) and Organik (Dark Blue). The organik is not quite as snuggly as the Terra so I started with the Terra in the brim and then alternated throughout. And then, I was reading over at Gina's blog that someone made one with Patons SWS and I had an aha moment. It turned out so cool. 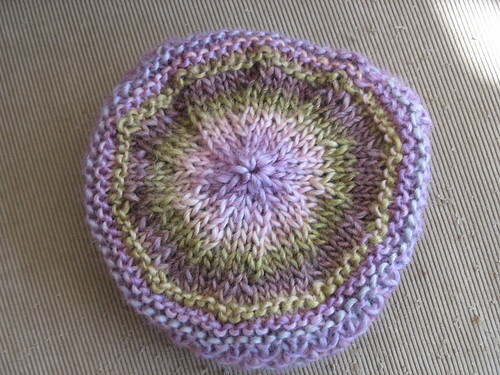 I am really having fun seeing how differently the yarns and the pattern combine. Oooh - pretty. I have some Patons SWS for a sweater. Now I KNOW what to do with the leftovers.